We understand that it helps to have the ability to control volumes of the music channel and the audio channel of timeline media at a clip level. For example - an Interview video where you want to have a background music playing at say 90% volume in most places, but reduced to 15% in a clip where you have a person speaking (where the person's narration is to be highlighted). But at the same time, in some of those social media videos, you don't want to worry about changing volume configuration for each clip. You might just want to configure it as a project level. 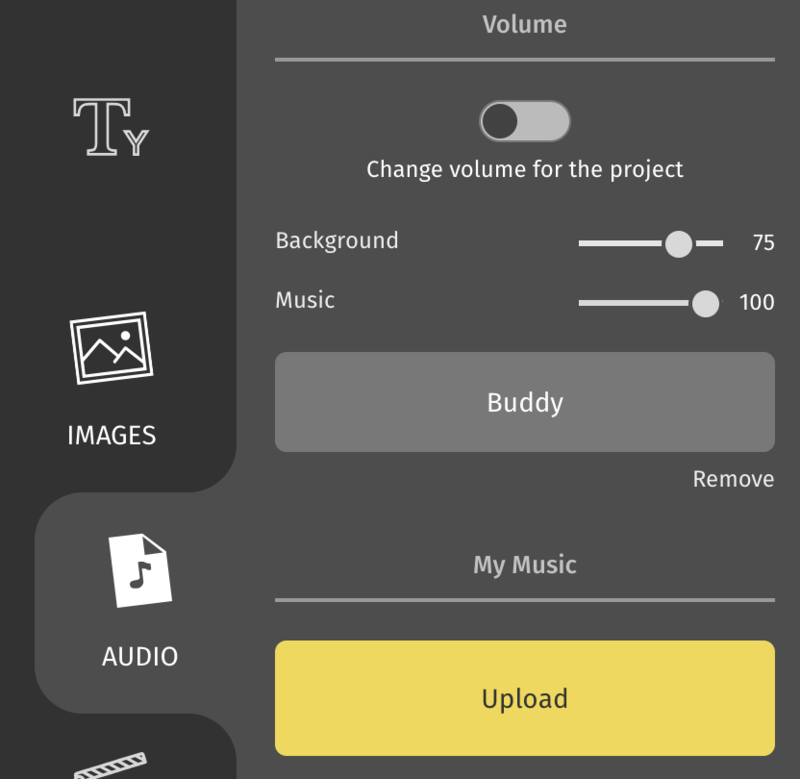 The first option is to control the volume levels of the video clips (noted as background) and music at a project level. Throughout the project, the same volume levels would continue to take effect. 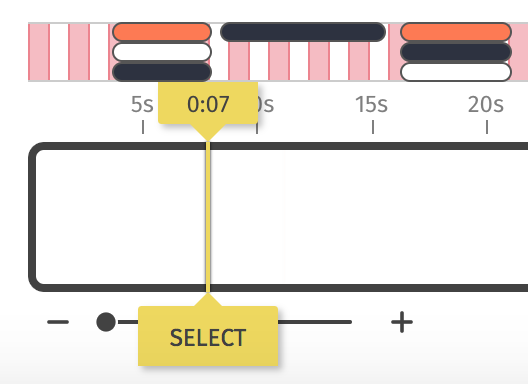 The second option is to change the two volume channels separately for each clip. 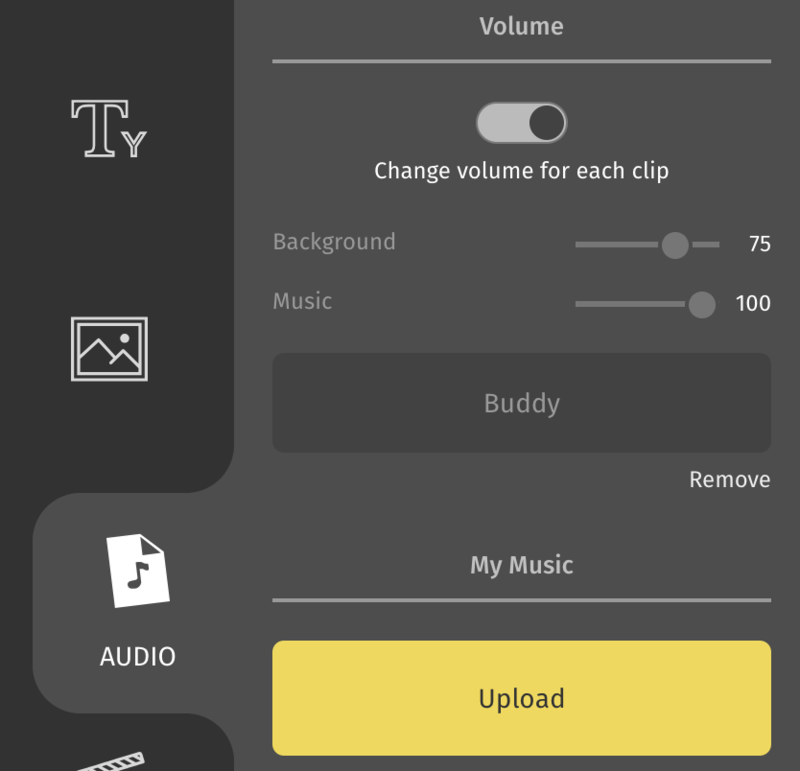 To do that, you can first toggle to 'Change volume for each clip' option. Once this option is chosen, you can see that the master volume levels 'Background' and 'Music' gets disabled. Remember that you can always toggle between 'Volume for the project' and 'Volume for each clip' based on the requirement in your project.